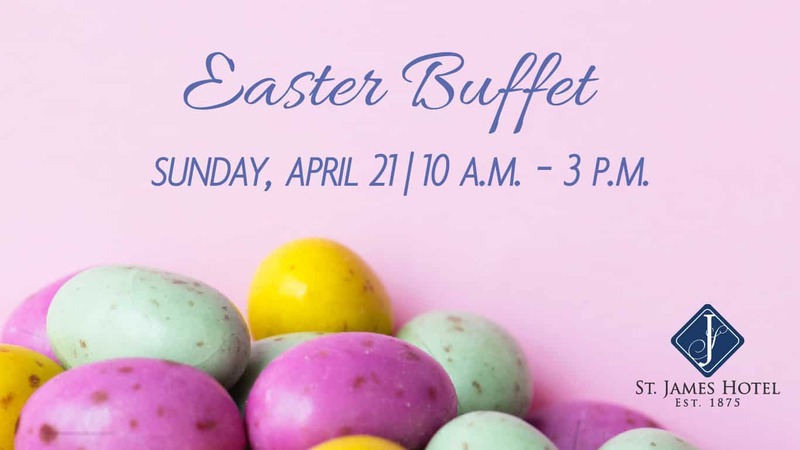 Celebrate Easter at the St. James Hotel on Sunday, April 21! Indulge in a bountiful buffet while overlooking the mighty Mississippi River int the beautiful Summit Room. Reservations are required and available from 10 a.m.- 3 p.m.
We will begin taking reservations on Friday, March 1st. To make your reservation, please call the hotel Front Desk at 651-388-2846.